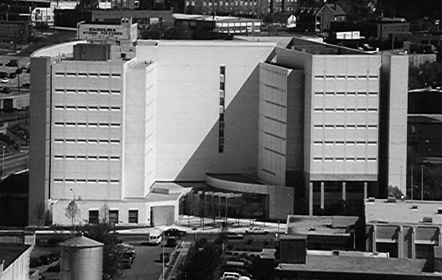 The Durham County Detention Facility was constructed in 1996, built on the site of what was once the Austin-Heaton flour mill, and later, the Southern Railway Co. depot and office building. Before its construction, detainees were held on the upper floors of the Judicial Building and its jail annex. The building has an inmate capacity of 576, and the facility provides educational, vocational, and self-improvement programs, as well as appropriate resources to reduce prison recidivism. In 2012, completion of the new Durham County Courthouse, which offers secure access to the Detention Facility, completed Durham’s Justice Center.